Chutney is a popular side dish with origins in Indian cuisines. Chutneys are extremely diverse and can include anything from what others might call a relish, salsa, or even ​jelly or jam. They can be chunky or smooth and range widely in terms of flavors and spice. Chutneys are usually made fresh and can be made from a variety of fruits, vegetables, and spices. To make a chutney, select ingredients are mixed together then simmered slowly to blend and infuse the flavors. 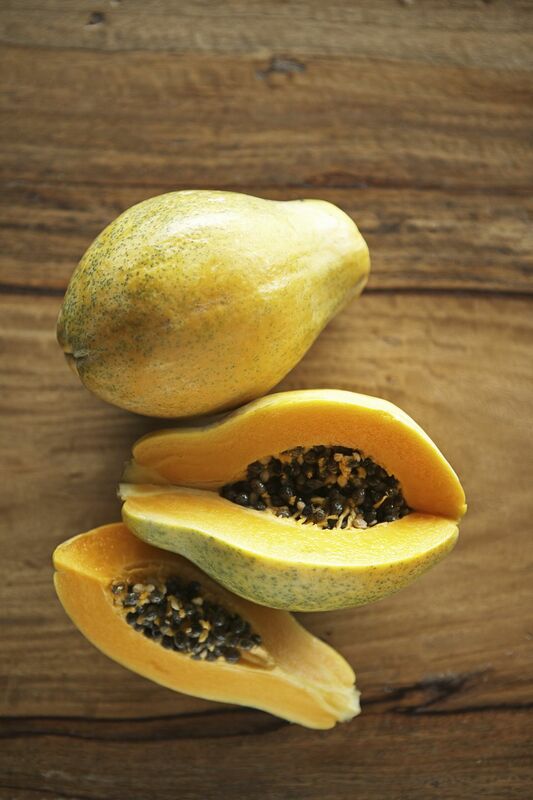 Papaya is a nutritional powerhouse of a tropical fruit. They are a rich source of natural vitamin C and vitamin A and are a great source of fiber. ​Papayas are also known for their ability to aid in digestion both due to their high natural fiber content and the fact that they contain papain, an enzyme that aids in the digestion of proteins. Chutneys tend to be chunky by nature and this recipe is no exception. If you prefer to make a smooth sauce, simply puree the cooked and cooled mixture in a food processor before serving. You'll never go back to store-bought chutney after tasting this delicious homecooked chutney! *Note: When making homemade chutneys, fresh ingredients are key. While papaya can be found in grocery stores year-round, the peak season for the fruit is early summer and fall. Heat oil in a large heavy saucepan over medium to medium-low heat. Add onion and saute for 2 minutes. Add garlic and saute 1 additional minute, stirring often. Add cider vinegar, brown sugar, lime juice, ginger, cinnamon, nutmeg, allspice, salt, and dry mustard. Stir until well-combined. Add papaya and raisins. Reduce heat to low and simmer for 5 minutes, stirring occasionally. After 5 minutes, remove from heat and cool to room temperature. Chill for 2 hours in the refrigerator before serving. Refrigerate any leftovers in a covered glass container.